Let Carol Vorderman help your child succeed in money maths. 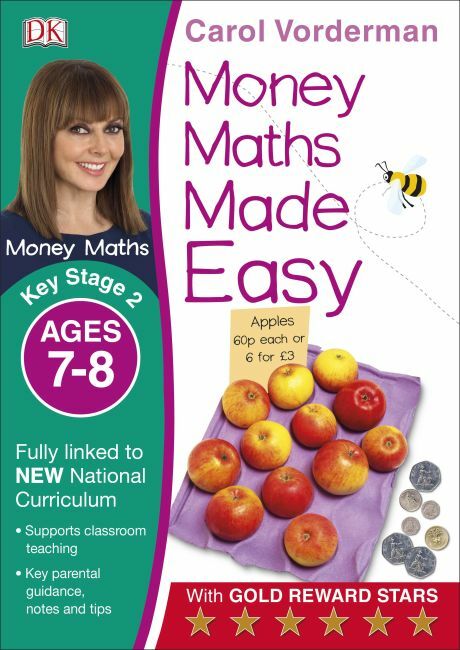 Money Maths Made Easy is one of Carol Vorderman's series of workbooks packed with notes and tips to make learning about money easy and fun! Follow the exercises and activities with your child to strengthen their learning in school, then reward them with gold stars for their efforts. Each title contains a progress chart so your child can keep track of all the exercises they have completed and parents' notes explain what children need to know at each stage and what's being covered in the curriculum so you can support your child.